View our most asked for wedding gown trend below! For more information follow the button to our bridal page. Follow us on social media for event updates, new dresses, and much more bridal fun! 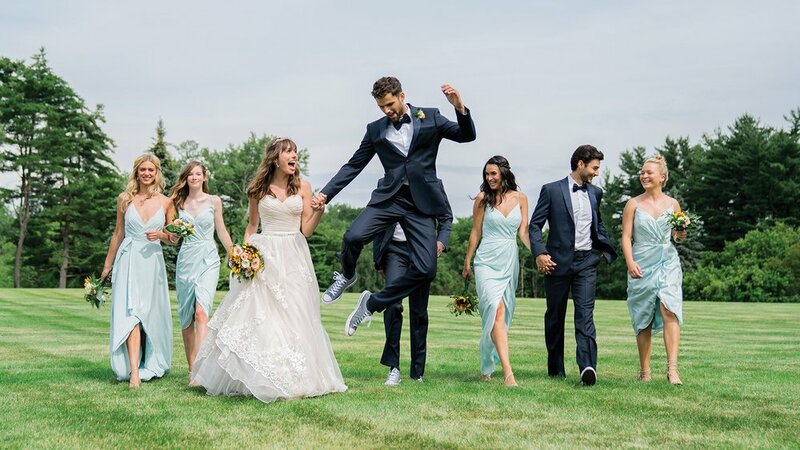 "Designed in Milan, the fashion capital of the world, and manufactured with the highest quality fabrics, Eddy K has the perfect wedding gown for every bride." Elizabella's Bridal Boutique is the only location in Greensboro, NC to sell these bridal gowns because they are the exclusive vendor for Eddy K.
"Justin Alexander debuted on the bridal fashion scene as T&G Bridal in 1949 in Brooklyn, New York. It was a time when femininity in women's fashion was re-emerging from the masculine scarcities of the war-torn 1940s. Brides could now afford bigger gowns and bolder headpieces and T&G's exquisite tiaras and detailed headpieces met that demand." Click to view the Sincerity Collection. Click to view the Sweetheart Collection. "Casablanca Bridal was established in 1997 and has since become one of the fastest growing, well known manufacturers of bridal gowns in the industry." "Best customer service ever! Beautiful selection and expert assistance!!! Whether you need formal wear or alterations THIS IS THE PLACE!!!" "Elizabeth went above and beyond for my son's prom and i couldn't be more grateful. The original tie came in and was wrong color and Elizabeth made his tie for him at the very last minute. What a lifesaver! !! Each time I've come in the staff was more than helpful and professional. Thanks so much for making his special day amazing!!"